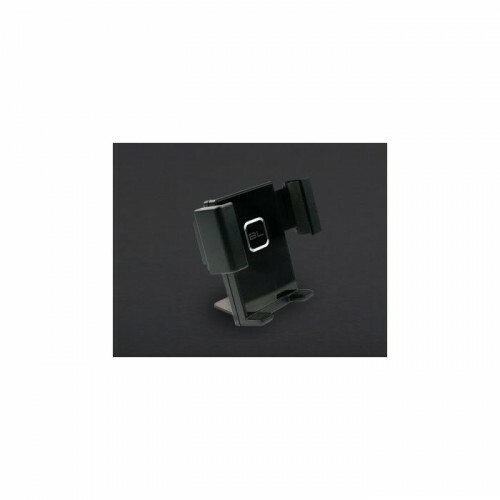 The flexible and stable mechanical structure design enables this phone holder to hold different kinds of smart phone, PDA and other electronic devices. 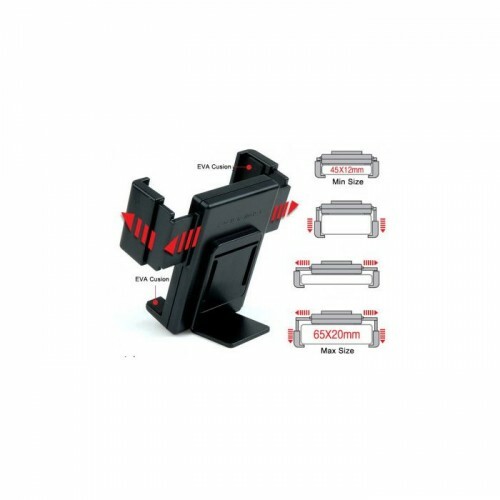 Its unique mounting interface provides a convenient and stable solution to mount it on a robotic platform. A phone mounted on a robot can be used as a Wifi camera, a UI screen, a powerful processor or take advantage of the many sensors and services a smart phone has, such as GPS, SMS, accelerometer, etc... 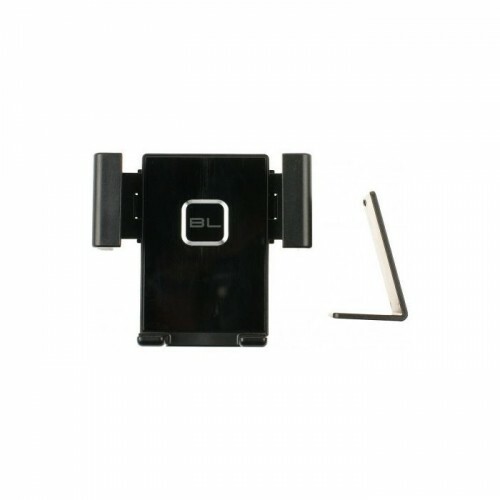 It is the ideal solution for a mobile robot carring iPhone and Andriod phones on a mobile robot such as our mobile robot platform.